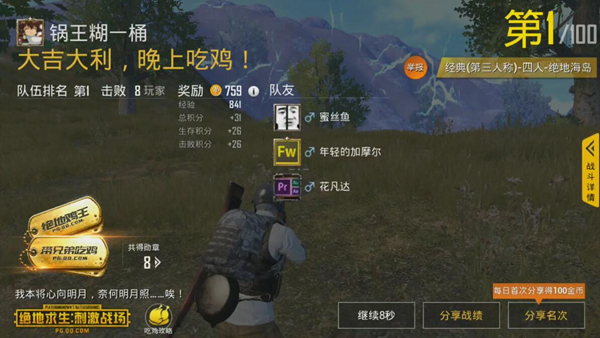 Comments Off on PUBG Mobile guide Final Competition! 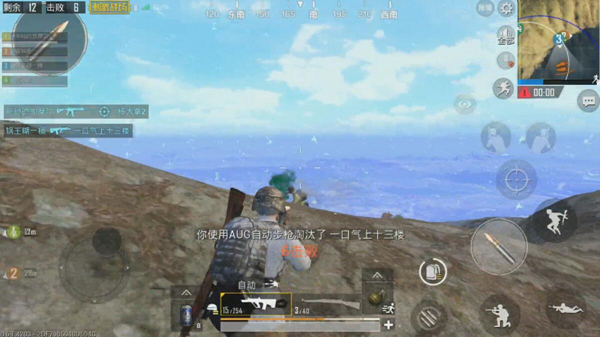 In the “PUBG Mobile Stimulus Battlefield”, the finals is one of the most dangerous time slots in the game. Similar to the initial set-up, the finals have a small range and many enemies. Attack the enemy in the direction of stealing. 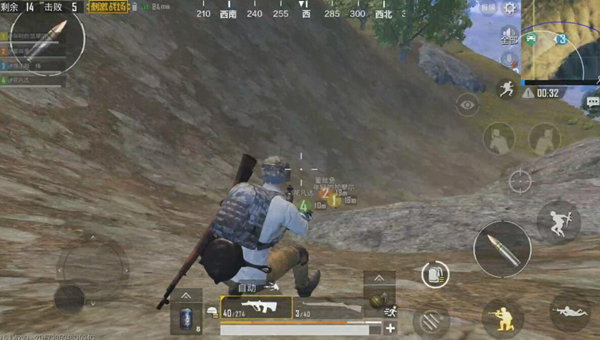 If you want to get smaller in this area, the full-fledged final round will improve the team’s survival and chicken proficiency, and the details will be indispensable. The scope of the final round is basically the effective attack radius of all weapons currently held by all players. This is also why the final round kills the player, simply saying that simply looking at To you, his bullets will hit you. Here we talk about a few key details in the finals. The regional control is well-understood, that is, the player’s own understanding of the entire area within the range area. At this time, in order to effectively expand our understanding of the situation in the area, we need to ensure the distance between teammates and teammates. The most common is the situation where four people are nested together and destroyed by opponents. The reason why the group is destroyed is that the scope of the situation is unknown, and many people gather at one point. You don’t have to worry too much about other reversals, so you can easily target your own team of four. So under the premise of ensuring safety, the multi-person team is scattered as much as possible, and the best distance between teammates is 10-20 meters. For the period of insurance, you can also choose a small team of 2 points, the distance between the two teams is maintained at around 20. In this situation, it is possible to exchange fire with your opponent. Teammates can easily pull the line, assist each other, and avoid situations where the opponent is in a pot. The cover, which is what the players call the gun. Whether it is the rescue of teammates or the transfer of roads, cover is the best way to reduce team downsizing. For example, if the team shifts to the next lap, it can be a two-person group. Travel forward and backward, and keep a certain distance. What is the purpose of the ? Advanced teammates can go back to help behind teammates cover shots and other series of cover operations. 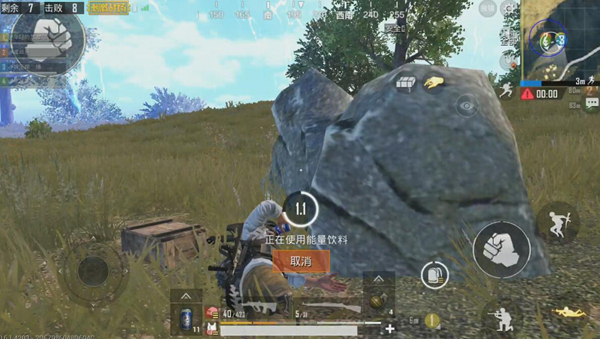 The teammates at the back can immediately seal the smoke and rescue guns when the former line-up friends are knocked down. With such tactical planning, the entire team can obtain greater information and a higher chance of survival. Encounter Enemy Play or Not ? At this time, you need to judge the situation of your opponent. A lot of players are hit by people, but there are three “Voldemort” lurking around opponents who are knocked down…. Even if it is easy to take out an opponent, why not choose it? ? Because We don’t know if there are still full teams. If we eliminate teams that are less threatening to each other, it will reduce the pressure on other teams. We must know that “borrowing and killing people” is also one of the tactics. It is not only more difficult to attack an opponent at a long distance, but also . Remind The position of our enemies around us, so if we are not caught by our opponent, try to avoid attacking the opposing team. Even if the team cannot be eliminated As much as possible to reduce opponents. Because the smaller the circle, the greater the threat of the larger number of teams, so while ensuring safety, give priority to attacking a full set or three teams. Well, the above is to bring details of the final round to everyone. I hope to help all players.